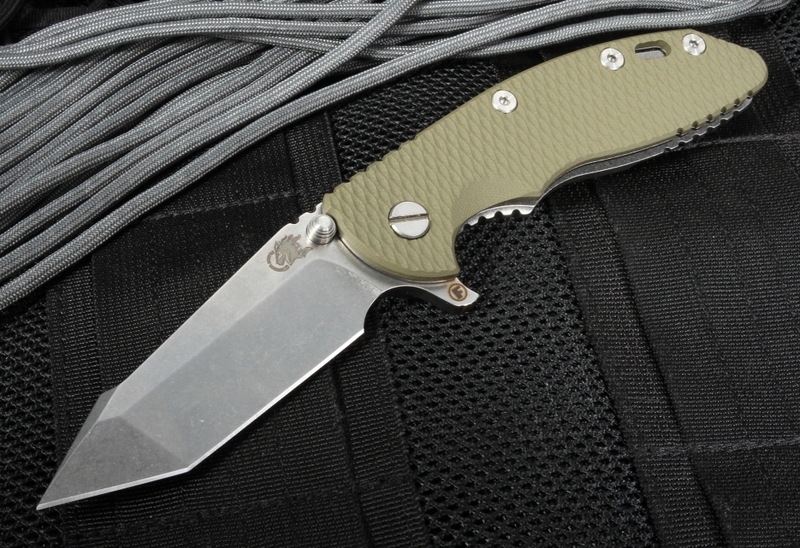 Crafted in the United States, Rick Hinderer's XM-18 3.5-inch FATTY Edition Harpoon with OD Green G-10 features a Crucible S35VN stainless steel 3.5-inch blade. The harpoon grind blade creates a tough and rugged blade excellent for slicing, cutting, and puncturing, and the blade is stone-washed for extreme durability and resistance to wear. The Fatty edition sports a thicker blade stock for increased durability and because of the added weight, gives the blade even more speed when flipping the knife open. 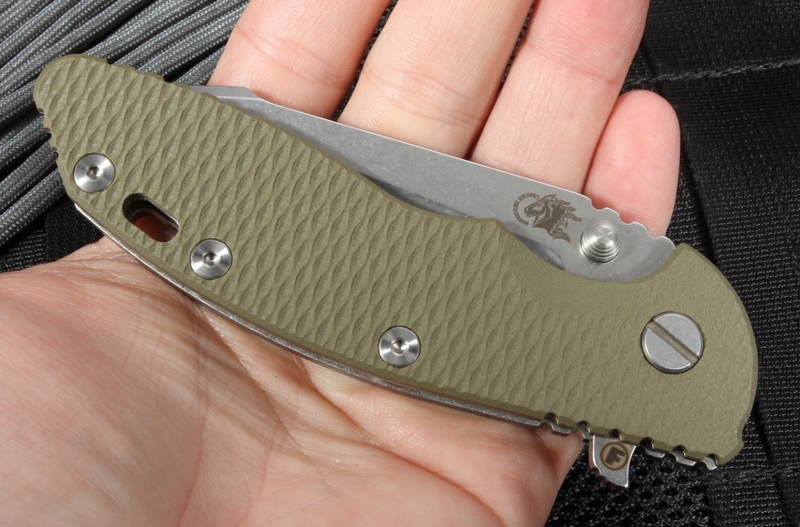 The textured OD green G-10 and stone-washed titanium handle of the XM-18 FATTY provide a solid grip and exceptional control for use in heavy-duty applications. The OD green color of the handle complements other tactical, military, or survival gear, making this folding knife the perfect addition to your tactical arsenal. 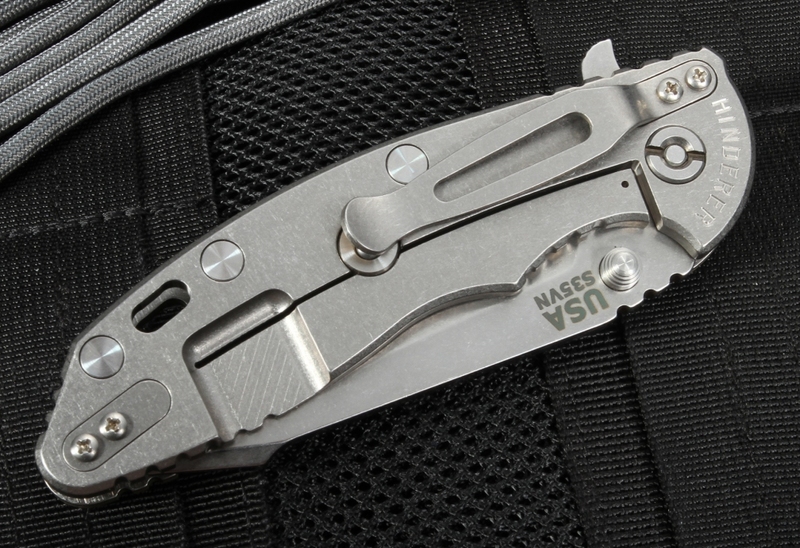 Dual thumb studs and a flipper provide for two opening options, either full manual or with the flipper tab. The spine of the handle and the blade thumb rest has jimping to provide a positive grip for the XM-18. A solid frame lock design helps prevent the blade from accidentally slipping open or closed and provides smooth opening and closing, while adding, even more, durability to the knife's handle. 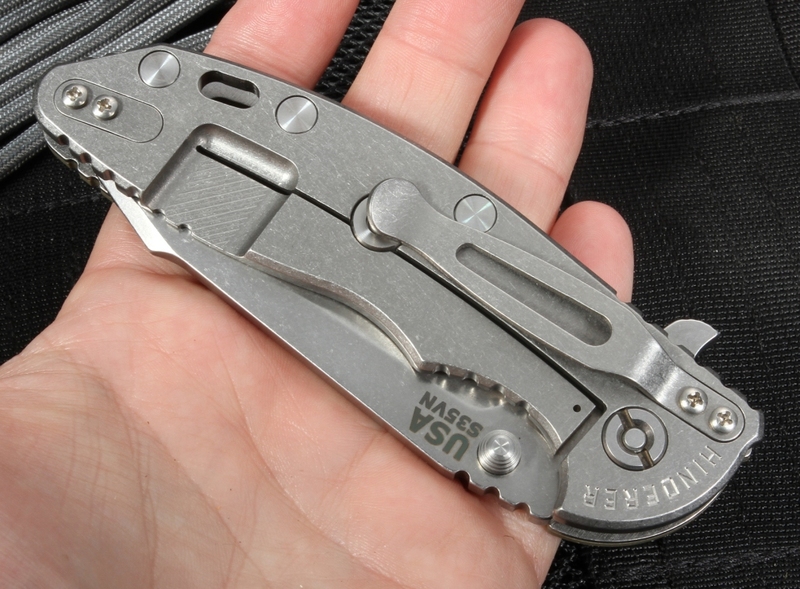 The titanium pocket clip can be mounted for either tip-up or -down carry, and the lanyard hole in the handle provides, even more, flexibility in carrying options. 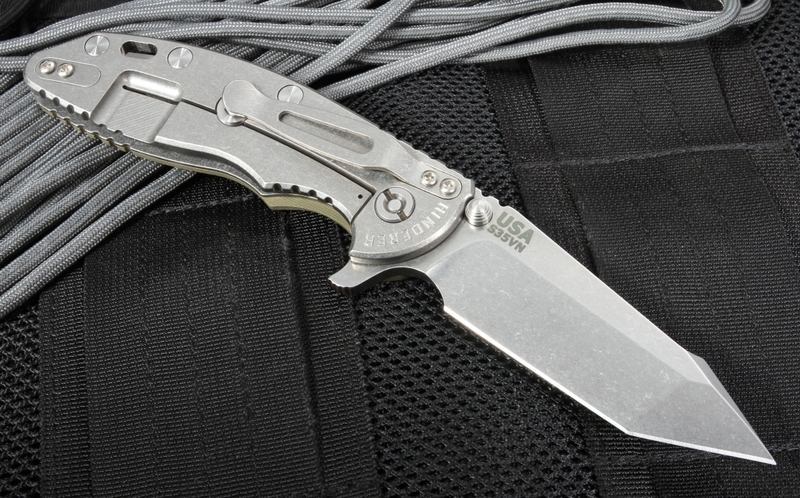 At 5.9 ounces, Hinderer's Fatty XM-18 offers the bulk you'd expect of an overbuilt tactical folder in an extremely well-made package.